1.What is measured in an Extensograph and an Alveograph? These instruments measure the resistance of a dough to extension under controlled conditions. The shape of the curve shows the energy input (E in the Extensogram, W in the Alveogram). Different dough properties (short, normal, soft) and different protein levels (low, normal, high) are recorded. 2. 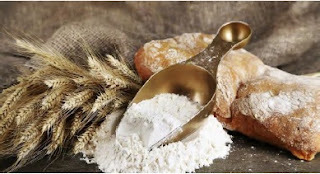 How can the effect of flour improvers be measured rheologically? Of course baking tests are the analytical method for determining the nature and amount of the flour improvers to be added in the long term. 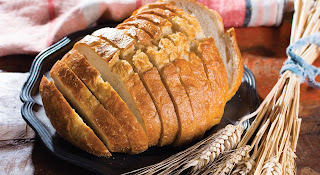 But extensogram data, especially, react extremely sensitively to all additives whose effects result from reactions with the proteins in the gluten. It was on the basis of such data that the theory of the Rheological Optimum was established and became acknowledged throughout the world. It gives concrete information on which flour improvers can be used to achieve which changes in the properties of the dough. Amylograph and Rapid Visco Analyzer 1.What does the Amylograph measure? The amylograph records the changes in the viscosity of a flour-and-water suspension caused by gelatinization of the starch during a controlled heating period. The Amylogram therefore shows the changes in water-binding capacity that take place during swelling and gelatinization and in the course of enzymatic and mechanical breakdown of the starch gel. 2. What is the connection between the Amylogram and the Falling Number? There is no direct connection between the Falling Number and the Amylogram data, but a mathematical/statistical orientation in the same direction does exist (if the number of measurements is large enough!). This should be checked for each new harvest. 1.What is rheology? Rheology is the branch of physics that deals with the elastic and plastic properties of systems and their flow characteristics. When combined with water, flour forms more or less viscous systems that solidify when baked. 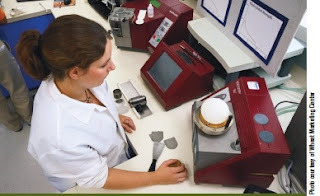 The science of rheology can provide information on quality in both states-baked and unbaked. 2. What are “basic rheological properties”? Basic rheological properties are the parameters strength, viscosity, elasticity and plasticity. They are determined by measuring the effects of deformation forces on the dough. These forces may be of any magnitude, and the measurements are correspondingly large or small. For the rheology of dough the most important properties are viscosity and elasticity. 1.We noticed an increase in the temperature of the wheat to 45 0C in parts of the silo during the winter. When we checked the wheat we couldn’t find any signs of infestation. What may the reason have been? Can we still use the wheat? This phenomenon is probably due to self-heating caused by fermentation. 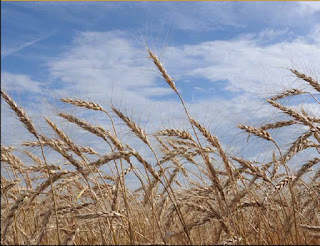 This can occur if the wheat is not moved or sufficiently aerated during storage. 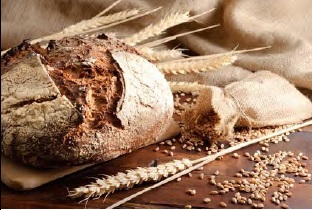 If only a small amount is affected, the thoroughly mixed wheat can be used (unless the taste and smell are impaired), but the performance should checked. 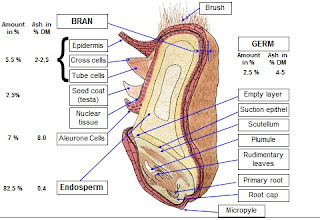 Unusually short dough properties indicate heat damage to a larger proportion of the wheat.